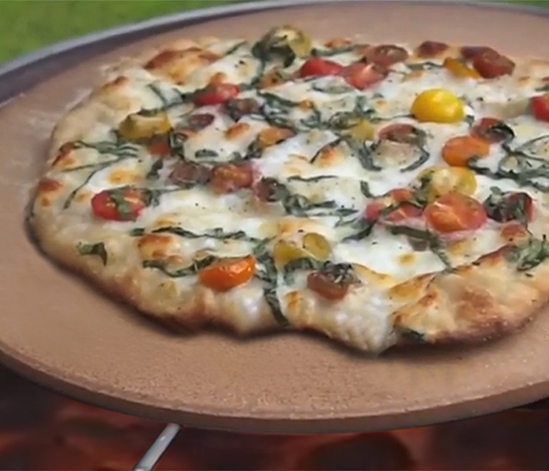 Place the pizza stone on the grill or in the oven or smoker and preheat to a high temperature (450° F). Sprinkle either cornmeal or flour on top of a large pizza spatula before spreading out the dough on it for easy sliding on to the pizza stone. After nicely spreading out the dough on the spatula, sprinkle olive oil across it. Next, place the slices of mozzarella cheese, heirloom tomatoes and basil across the pizza. Once your grill/oven and pizza stone has preheated, transfer the pizza from the spatula on to the stone. If using the Caliber Pro Kamado Grill/Smoker it is best to place a heaping pie plate full of charcoal in a pile at the bottom of the grill to reach a high temperature and cook with the lid shut and vents open for about 6-8 minutes. 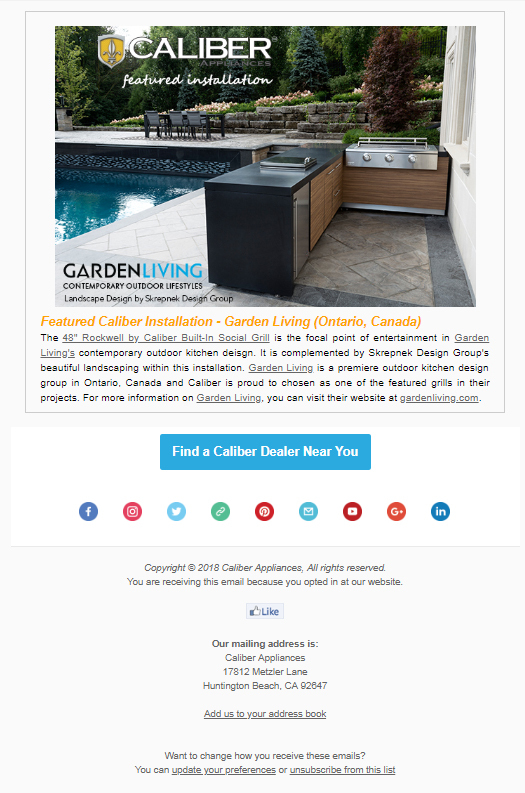 The Rockwell by Caliber Social Gas Grill is ideal for crisping the tops of pizzas because of the short dome heat area. 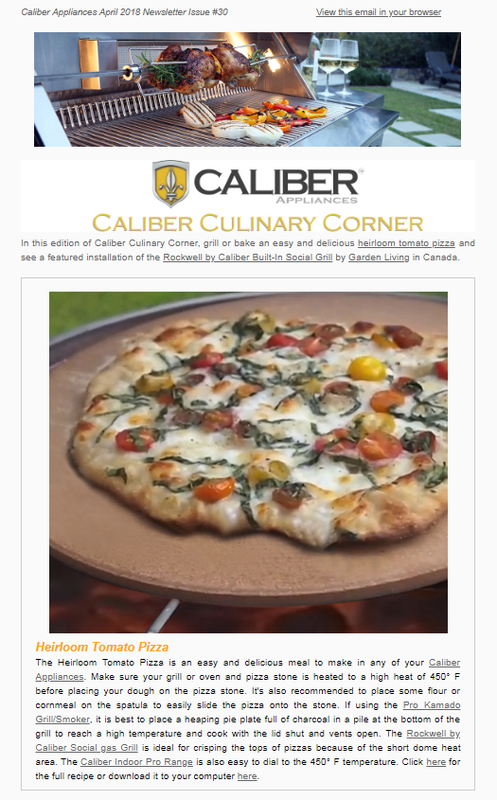 The Caliber Indoor Pro Range is also easy to set to a 450° F temperature. Pizza will also be finished in about 6-8 minutes in the oven or gas grill. Enjoy!